Russia’s state-owned energy giant Gazprom Neft has signed a major cooperation agreement with the huge American energy services corporation Halliburton to facilitate “technological exchanges” to boost production. 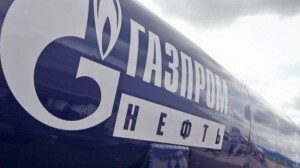 “One aspect of cooperation will be special technical seminars for employees of Gazprom Neft, with the aim of getting to know the main ways in which Halliburton uses its technology,” Gazprom announced on Tuesday in a statement posted on its website. “Some of the most important topics will concern work with tight oil reserves, unconventional resources and deep-water drilling,” it added. The deal is reportedly the latest in a growingly close relationship between Moscow-based Gazprom, which controls over 95 percent of Gazprom Neft, and the major US energy giant and contractor, infamous for being awarded so many contract projects by the US military during its occupation of Iraq but failing to deliver or complete the work. This is while Halliburton signed a similar agreement last year with Gazprom International, the gas monopoly’s international arm, RIA Novosti reported Tuesday. Moreover, the report said, the US corporate giant also won a USD95 million tender from Gazprom Neft in May of 2012 to complete 12 wells being drilled by the company in Iraq. A Gazprom Neft spokesperson, however, is cited as saying in the report that there was no link between the Halliburton-Gazprom Neft agreement and the Halliburton-Gazprom International one. Halliburton, which claims on its website to have been involved in exploiting more than 80 percent of the world’s deep-water hydrocarbon discoveries, was a contractor on the Deepwater Horizon oilrig in the Gulf of Mexico in 2010 when the rig exploded, killing 11 people and generating the worst oil spill in the US history. This is while the company admitted in July that it had destroyed evidence about its involvement in the Deepwater Horizon disaster, according to the report. The spokesperson for Gazprom Neft said that deep-water drilling was only “one of the possible areas of cooperation” with Halliburton. Gazprom Neft, Russia’s fourth-largest oil company, produced 30.6 million tons of oil equivalent in the first six months of this year, and is aiming to increase its annual output to 100 million tons of oil equivalent by 2020.